Long before that ubiquitous brand advertised that “things go better with Coke”, brands have always been associated with how they make us feel – and how we feel about them. Basically, consumers form a subconscious impression of a brand based on their perceptions and experiences. More than a decade ago, Peppers and Rogers in their book, Return on Customer, declared that customer experience is the single most important factor for business success. It’s even more so now. And it’s no surprise that in our connected world, shareable experiences have become a key priority for marketing and a fundamental principle for management. To paraphrase the not-so-mad ad-man David Ogilvy, another marketing legend – “Every customer experience should make a contribution to the brand image”. Customer experience, or “CX”, is consequently recognised as one of the main battlegrounds where brands compete. With the asset value of brands now beginning to appear on balance sheets, the ability to link positive customer experiences with brand equity is a key differentiating factor for successful businesses. Given that customers hold greater buying power than ever before, they naturally have expectations and demands. Whichever statistic you favour, it is widely accepted that it takes around ten positive experiences to repair the damage caused by a single unresolved negative experience. 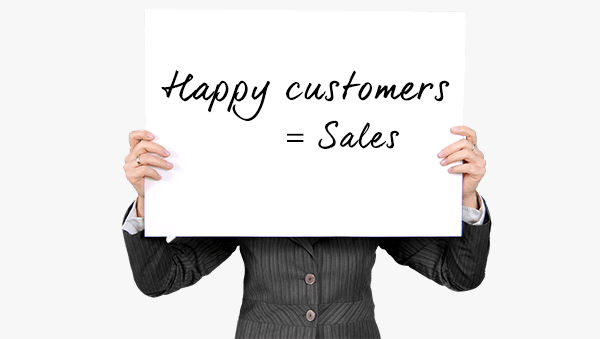 Nowadays, with less tolerant consumers, one negative experience can lose a customer – forever! Of course, seamless customer experience rarely happens by accident, it happens by design, yet making something appear effortless can be difficult – not least because every customer is unique. Experience involves perception, emotion, and unexpected behaviours, so no matter how well crafted an experience is, customers are unlikely to perceive it exactly as we anticipate or hope. For starters, customers no longer visit businesses solely through the front door, they engage at different stages, wandering in and out of a virtual store without walls. Additionally, with multiple channels and devices, customers inevitably bob and weave across countless touchpoints. Crafting customer experience therefore requires collaboration across departments often used to working independently. To facilitate successful outcomes everyone must work in concert, for example, all need to pay close attention to how touchpoints interlink across lifecycles. Hence customers at different stages of their relationship with a brand must be approached and cultivated using different strategies. ▪ Cost to serve reduced by 15 to 20%. These compelling results further underscore why experiences should be managed across the entire arc of the customer’s journey. Building on this, an integrated customer ecosystem takes touchpoints and journeys even further, with a fully integrated experience across desktop, mobile, email, retail outlets, contact centres, etc. And an even more thorough approach to designing and managing customer experience and associated ecosystems is customer experience architecture. This provides a framework for designing and delivering optimal experiences to different customer segments, in different business segments, with different business objectives. Users should however be aware that implementation requires wide-ranging changes in the background, more than just process improvements. Companies that do manage to develop their own architecture will find it breaks down organisational silos, empowers bottom-up innovation, addresses the diversity of customers and their needs, whilst producing unique and compelling experiences. While optimising a single customer journey is tactical, shifting organisational processes, culture, and mindsets to an all encompassing architecture, is both strategic and transformational. Although the transformation may take time to perfect, the rewards are significant, including the creation of a culture that would otherwise be hard to build. What’s more, a truly competitive advantage is achieved by companies that get it right – but it’s not easy to do. That’s why only a handful of companies come up repeatedly when people think of outstanding customer experiences: brands like Apple, Amazon, BMW, Disney and Mercedes. Regretably, Forrester’s recent CX Index research covering 58 Australian brands found that none qualified as ‘leaders’ in delivering exceptional customer experience. Despite its critical importance for business, there has been little oversight of the total customer experience, partly due to the numerous touchpoint responsibilities in companies being administratively fragmented. But that’s changing. Barely one-third of marketers polled by The Economist Business Intelligence Unit say they are currently responsible for managing the customer experience; whereas 75% expect to be looking after customer experience over the next three to five years. With consumers now actively “pulling” whatever information they need from multiple sources, the outreach of consumers to marketers has become dramatically more important than marketers’ outreach to consumers. Increasingly, Marketing’s role is to orchestrate relationships with their brand and to act as an advocate on behalf of the customer, rather than attempting to control the process. Indeed, Seth Godin notably points out that control is illusory, he considers that influence is far more important. The sum of experiences an individual accumulates over the life of a customer relationship is seen as the best way of authentically demonstrating an organisation’s strategic brand values. It is also the key to competitive advantage going forward. As Jeff Bezos of Amazon said … “Your brand is formed primarily, not by what your company says about itself – but by what the company does”. Or to put it another way, your customer’s experiences = your brand!